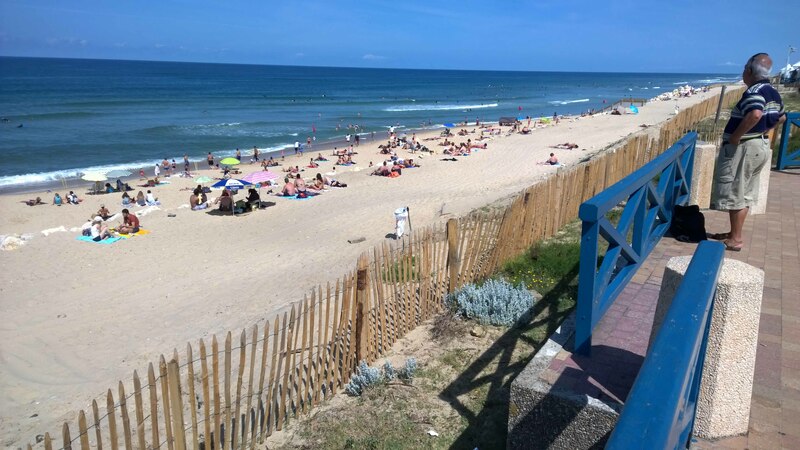 Day 8: Hourtin- Arcachon. 116km. So, it turns out that I really can’t count distances on maps. Way too far today, we were wrecked. Started the day with a measly breakfast of peanut butter and jam bread. We’d never had both together before, but today, in the spirit of adventure, we gave it a go. It was better than expected but I won’t bother again. How many times have I said that in my life? Pretty much all cycle path today. 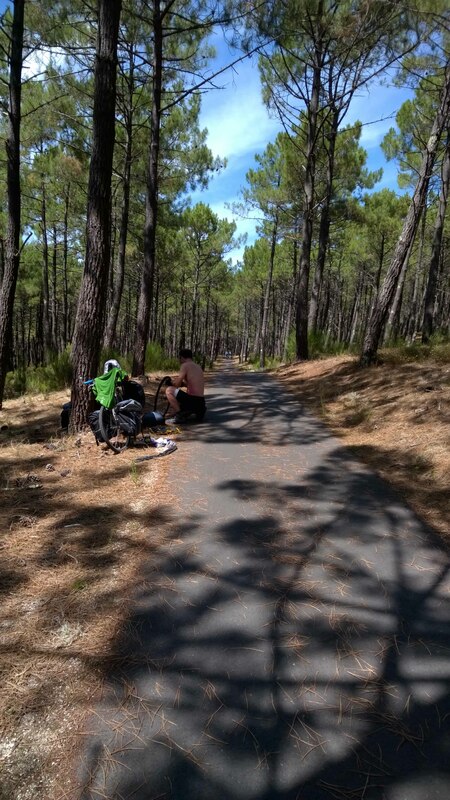 Most of it through pine forests. Some crazy stretches barely wide enough for a bike and so rough we were bouncing about trying not to come off into the sand. The paths are busy near civilisation but are virtually empty in between. Two punctures for me today. Mid-forest repairs by the resident mechanic. My job is to feed him biscuits while he works. The route south ran along the edge of this inland lake (its not the sea) near Hourtin. 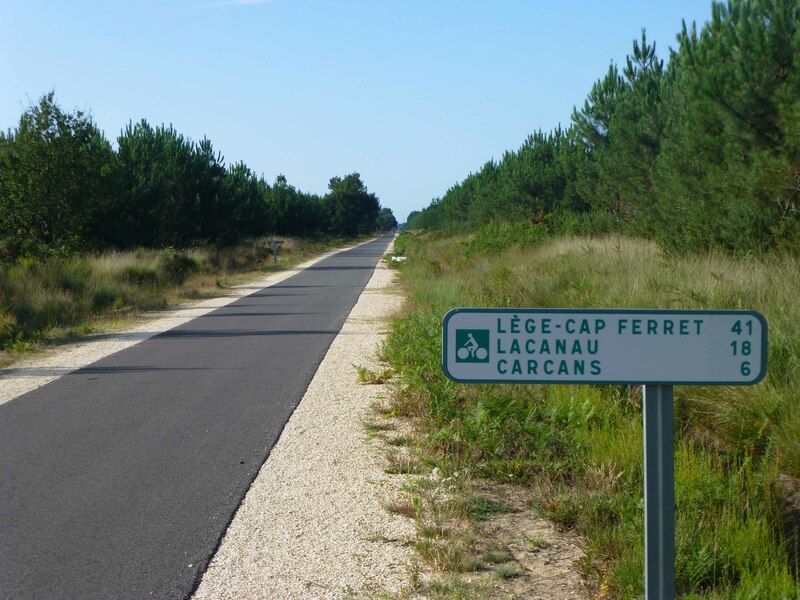 It also runs parallel to one of the most beautiful stretches of coastline with some well known surfing beaches, such as Lacanau where we had chorizo and cheese sandwiches for lunch as a variation from ham and cheese coz we’re just crazy like that. The last part of today’s ride was horrible. 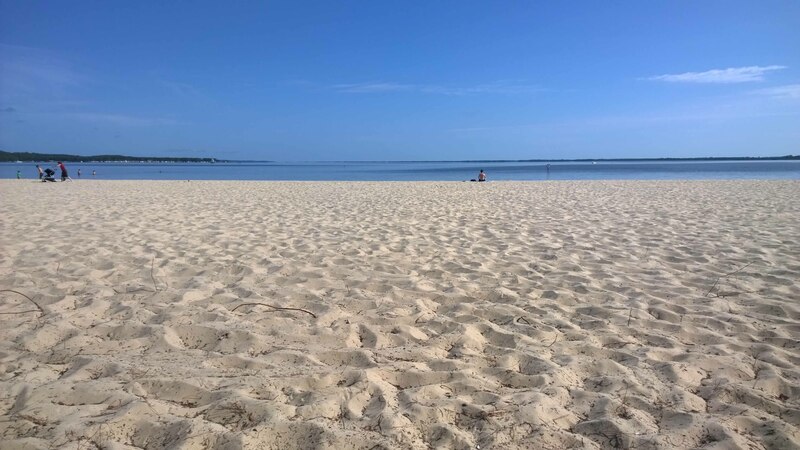 We had blown the budget by booking into the last room in the whole of Arcachon, which was a 4 star nonsense affair on an industrial estate outside of town on the other side of a dual carriageway. Not fun. Arrived at 7.30pm after 10 and half hours on the road. Never have I been so happy to see a weird plastic moulded wall in my life. Don’t ask. The rest of the room is purple. 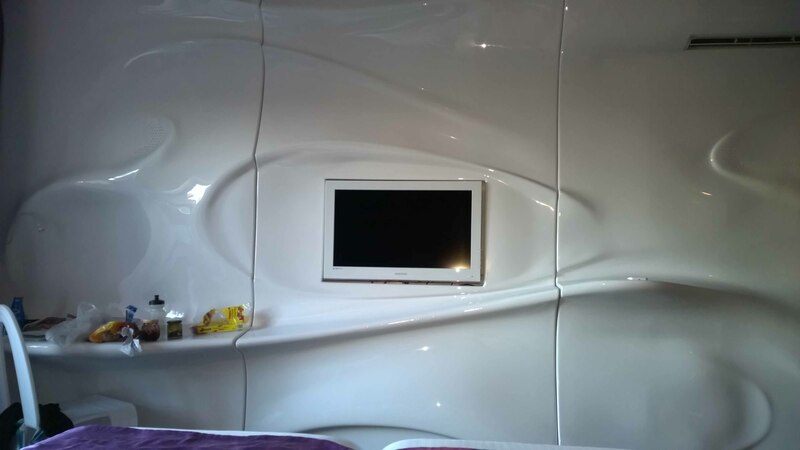 We’re at the Best Western Design and Spa Hotel. I am always suspicious of anywhere that states so definitively that it is a ‘design’ establishment. It means its going to be tacky and have tried too hard. This place is no exception. Someone has written a review on Tripadvisor wondering if the owner had a plastic moulding factory that was low on business as the place is full of Gaudi-like wobbly walls. My first thought was what a nightmare they’d be to dust. I don’t know why, its not as if I ever dust. Most excitingly, our new home has a fridge. As of this moment, we have nothing to put in it. 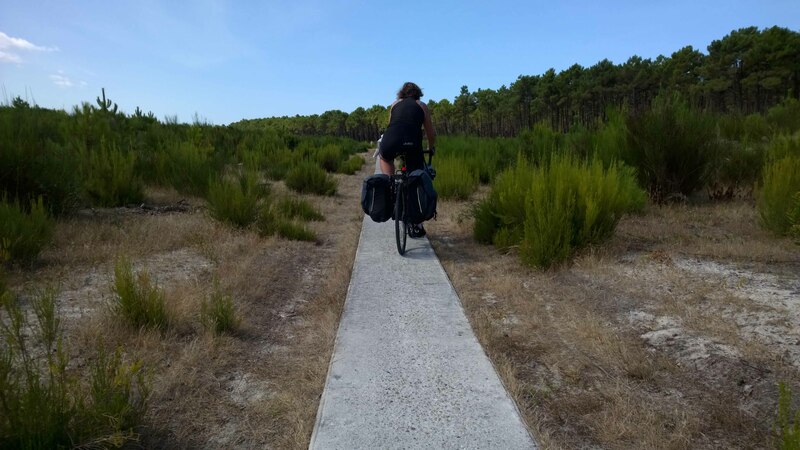 This entry was posted in Cycle Trip 2014: St Malo, France - Santander, Spain, Cycling, France, Travel and tagged arcachon, Best western design hotel, bike, cycle cycle touring, cycle path, cycle touring, cycling, France, hourtin, travel, travelling. Bookmark the permalink. 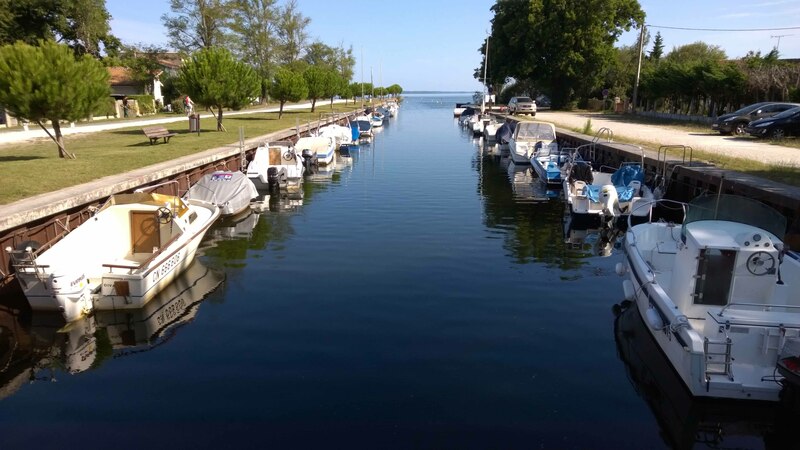 ← Day 7: Rochefort – Hourtin. 94km.